Central Tech offers several industry-recognized certification programs to meet the increasing demands of the manufacturing workforce. Three of these programs, Industrial Maintenance, Welding, and HVAC are offered in the evenings to better align with the schedules of busy adults. There are 10,300 jobs in the manufacturing ecosystem in East Central Oklahoma with average wages of $61,050. By 2020, total employment is expected to increase to 11,170 jobs, according to the Oklahoma Department of Commerce. Filling those new jobs will take a skilled workforce that is very flexible and comfortable with technology. In the manufacturing world, industry-recognized certification programs give people the kind of skills needed in a manufacturing environment and rewards employees with some of the highest paying jobs in the economy. Industrial machinery mechanics and maintenance workers maintain and repair equipment, such as conveying systems, production machinery, and packaging equipment. The median annual wage for industrial machinery maintenance workers was $48,410 in May 2015, and is projected to grow 16 percent from 2014 to 2024, much faster than the average for all occupations. Employers are looking for employees that have mechanical, hydraulic, and computer knowledge. Central Tech’s Industrial Maintenance program offers a sequence of courses which are designed to prepare individuals for employment in various manufacturing environments. Certain trades are, by nature, always in demand. One of these rewarding trades is welding. Look around the next time you walk outside, head into work, or stroll through a city; all of the buildings, benches, and structures have some degree of welding involved in them. With projected growth, good pay, and a demand for workers, welding is a career that is not only financially lucrative, it’s also in high demand. Welders and fabricators may work outdoors, often in inclement weather, or indoors, sometimes in a confined area designed to contain sparks and glare. Welders have a bright job outlook with a 15 percent growth rate, adding an additional 50,000 welding positions during the decade. Although median annual salary is $38,150, those employed in the electric power generation, distribution, and transmission industry earned the highest average salaries of $71,570, according to the Bureau of Labor Statistics. Central Tech’s Industrial Welding program, which boasts an average starting salary of $18.35 an hour, is self-paced and designed to get to work in the shortest time possible. The Heating, Ventilation, and Air Conditioning (HVAC) field is expected to experience growth of 21% by 2022*. This massive forecast adds as many as 55,900 jobs in 10 years, keeping HVAC techs in demand with job security and a growing salary, current median wage of $45,110*., HVAC technicians will always be needed since homes and businesses will continue to heat and cool their properties, there is not a danger of HVAC jobs becoming outsourced overseas or to machines. 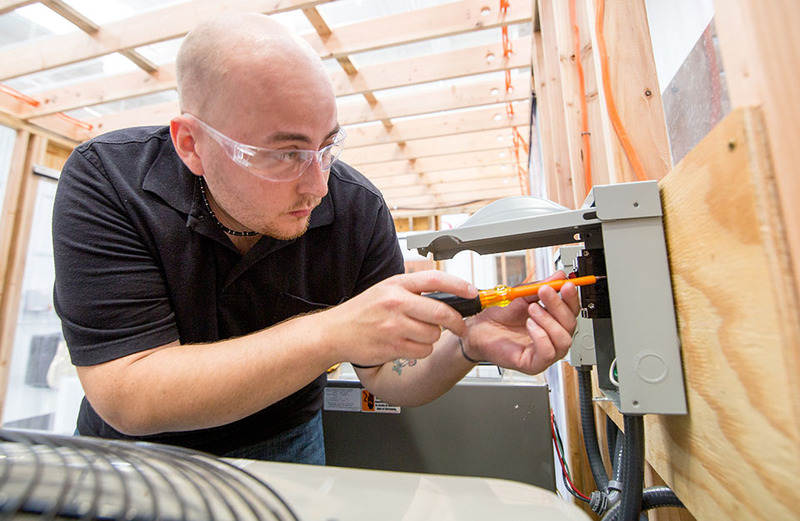 Central Tech is a leader in education and workforce development and the HVAC program, along with Industrial Maintenance and Welding, prepares workers for industry*. For more information about Central Tech classes, business & industry training, or job board-connecting workers to the workforce, visit CentralTech.Edu or call 918.352.2551 in Drumright, or 918.223.9400 in Sapulpa or visit Central Tech’s Open House Sunday, February 19 from 1-4 p.m.